for $795,000 with 4 bedrooms and 3 full baths, 1 half bath. This 6,112 square foot home was built in 1987 on a lot size of 0.00 x 0.00. 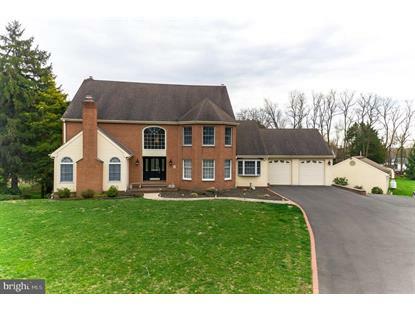 Nestled amongst the beauty of Holland, PA is where you'll find this stunning CUSTOM-BUILT home providing you with over an acre of land. Situated on a cul-de-sac in Council Rock School District this home has it all! Seller states approximately 6, 000 square feet inside (not counting vaulted ceilings - public records has it a touch above 4, 700 sq ft and most likely does not include the finished lower area). Sits back off the road so you have a long driveway big enough for many vehicles. Once you are inside you will immediately notice why the current owners chose to live here over 30 years! It is much bigger than it looks from the street. 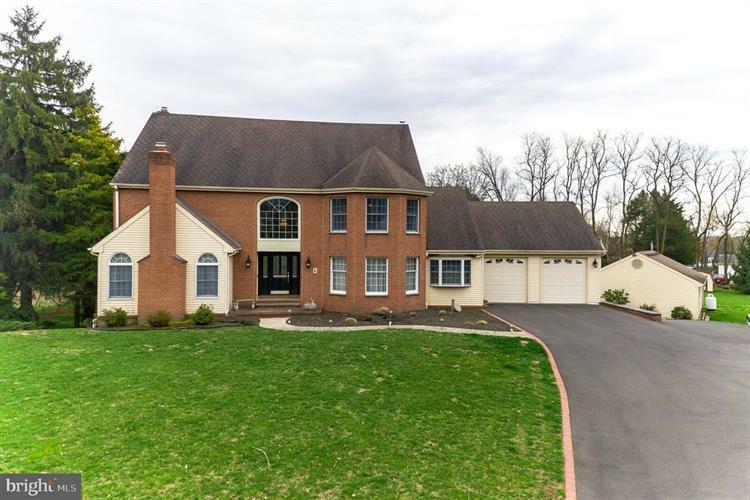 Three levels make this home plenty big enough for the growing or extended family. Kitchen was updated 2 years ago with granite counter tops and all new GE appliances. There are sliders that lead to the wood deck overlooking your huge backyard. You will have no problem entertaining guests. With the eat-in kitchen and large dining room there's always a spot for your guests. Main floor of this lovely property features a 2-story entry hall leading to a sun-drenched living room with gas fireplace, dining room, mud room, powder room, entry into the two-car attached garage, eat-in kitchen with loads of counter and cabinet space and pantry. On the upper level you have the gigantic master suite with brand new carpets that is actually over 750 square feet including a 10x9 walk-in closet, make up area, nursery and master bath with jacuzzi tub. There is also a wood deck/balcony off of the nursery. Three very nice size bedrooms and a hall bath complete the upstairs. The lower level is really something with the open two-story family room (brand new carpet) and a stone floor to ceiling gas fireplace. You have another full bath as well as an exercise room on the lower level (could be an office, play room, etc) along with over 600 additional sq ft of climate controlled storage space. Walk right outside of the lower level to your backyard oasis. An in-ground pool (concrete so no liner to worry about) with a huge patio that overlooks the private and level backyard. The detached garage is 24' x 36' and can hold up to 4 small to medium cars or 3 large cars. The detached garage is fully insulated with a 75, 000 BTU Propane Fueled Heater (negotiable), Peg Board & Shelving on 3 walls. It has one bay tall enough to insert a lift and has a 24' x 24' attic space on 2" x 12" floor joists for storage with pull down steps & barn doors for larger items to be stored in the area. 6 Swallow Rd was built in 1987 by the builder who built the whole neighborhood block. He built this house for himself, hence the great detached garage! There is enough land to expand if building more garages/sheds etc... House is extremely well insulated which makes it very efficient with a 5 zone gas heating system. Excellent and private location, A+ rated school district, huge house, in-ground pool, oversized 3 or 4-car garage, close enough to major roads for and easy commute to work~..like I mentioned before, this beautiful home has it all!